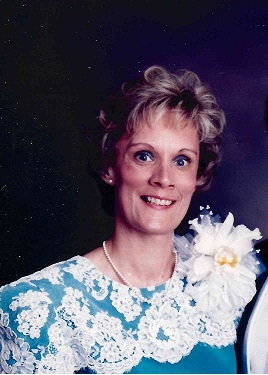 Sherron Robbins Ayers, 70 of Dyersburg, Tennessee died on Friday, April 12, 2019 at Baptist Reynolds Hospice House in Collierville, Tennessee. Born Friday, July 30, 1948 in Memphis, Tennessee, she was the daughter of Dora Ethel Henley Robbins and the late Herbert J. Robbins. Sherron was a devoted daughter, wife, mother, and grandmother whose family meant the world to her and she will be greatly missed. She recently retired from the Dyer County Board of Education after 32 years of service, were she enjoyed a wonderful and caring work family who were much more to her then co-workers. Ms. Ayers was a member of the Center United Methodist Church, where she sang in the choir; she enjoyed spending time at the beach, vacationing with friends, and volunteering at the Dyersburg Hospital. Funeral service will be held at 3:00PM on Monday, April 15, 2019 at the Chapel of Johnson-Williams Funeral Home with Dr. Phillip Cook and Bro. Dan Tilly officiating. Interment will follow in Fairview Cemetery in Newbern, Tennessee. Visitation will be from 5:00PM-7:00PM Sunday, April 14, 2019 and Monday April 15, 2019 from 1:30PM until service time. She is survived by one son Brian Alan Webb and his wife Stephanie Hendren Webb of Brentwood, Tennessee; her mother Dora Ethel Henley Robbins of Dyersburg, Tennessee; three grandchildren Zachary Ayers Webb, Amanda Clare Webb, and Grace Margaret Elizabeth Webb. In addition to her father she was preceded in death by her husband Billy Carr Ayers. Pallbearers will be Zachary Webb, Ronnie Weatherly, Jim Bane, Rodney Lucas, Dr. Larry Lusk, and Timothy Hassell. Honorary pallbearers will be Clare Webb and Grace Webb. Online condolences may be made to the family at johnsonwilliamsfuneralhome.com. Johnson-Williams Funeral Home is honored to serve the family of Sherron Robbins Ayers.